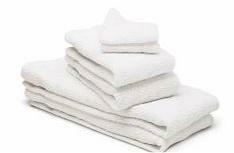 When a spill occurs, you need highly absorbent restaurant towels on hand to take care of the mess. Your facilities should be clean at all times, especially in the food service industry. As a local business, we understand the importance of maintaining a good image in a close-knit community. Your reputation is everything. Our restaurant towels can handle the grimiest wine glass and the greasiest spills. Take a look at our restaurant and hospitality towel options, then contact us to learn more about our local services! 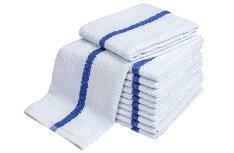 Wipe up spills the moment they appear with our absorbent bar towels. 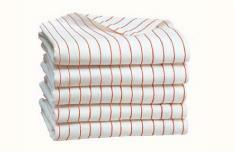 Our utility towels can handle any kind of grease or residue. With our glass towels, every single glass in your restaurant will shine. 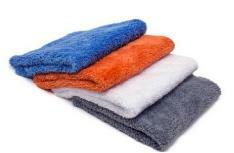 Nothing says luxury like a cloth hand towel. We also offer oshibori towels. 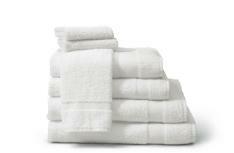 Invest in quality bath towels for your hospitality business. 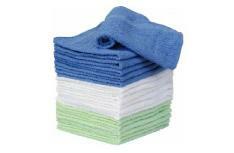 Our washcloths will leave your guests feeling clean.